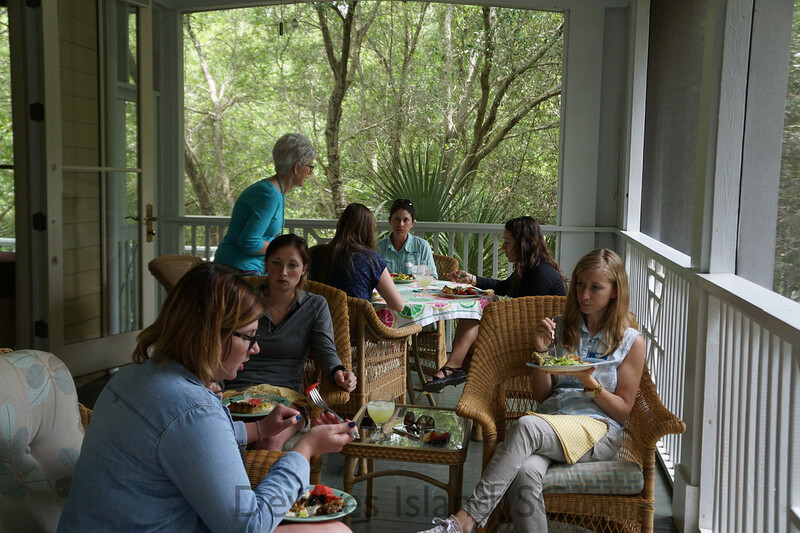 Dewees Island is lucky to have a thriving intern program, which can be active at all points of the year. Our fire station has a spare two-bedroom apartment above, which allows us to provide housing for summer interns who help us in two different Dewees Island internship programs. 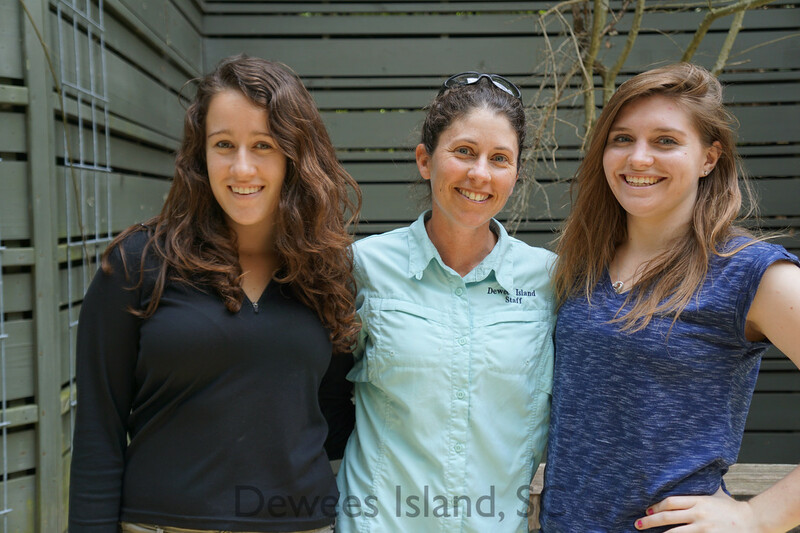 Conservancy Interns work with the Dewees Island Conservancy to protect endangered species on the island and in nearby protected lands. We share these interns with the Cape Romain National Wildlife Refuge, where they work long days protecting sea turtle nests within the Refuge. On the nights that they go out to Cape, they leave in the evening and spend a night near McLellanville in a trailer so they can get out to the refuge bright and early. There, they ride ATV’s to patrol the beaches and when they find nests, they often relocate them to large nurseries, where they are protected from predators and erosion. 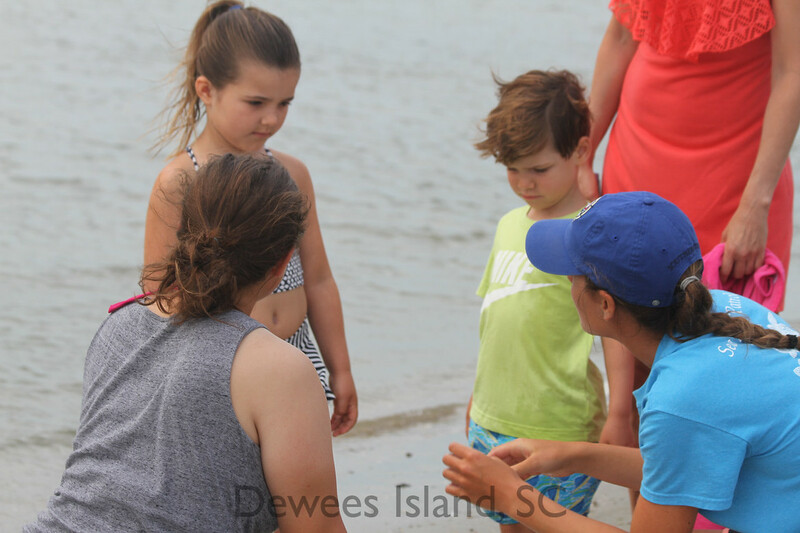 On the days they spend on Dewees, they assist with the nature programs and environmental programs. Any given day might bring a seining lesson, water testing, tank cleaning, or birding. 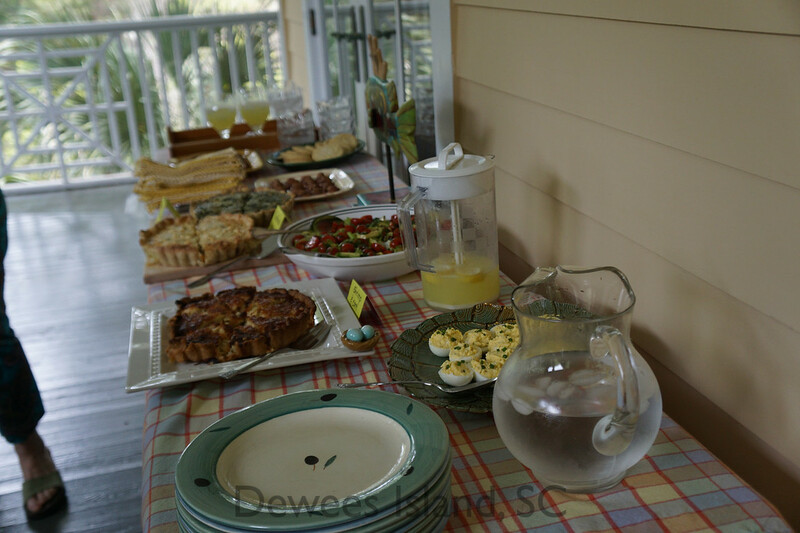 The most surprising thing about Dewees Island is that it there is actually a community that deeply still cares about natural resources and living in a sustainable community, and just its sheer beauty and natural atmosphere. My typical day working at Cape Romain starts off at 6 a.m where the volunteers and the U.S Fish & Wildlife workers head off the the boat dock to then drive to the islands. I am then dropped off with 1 or 2 volunteers to find the nests on Light House Island. Some days we found and relocated over 40 nests per day in the beating sun. It may be hot and physically exhausting at the time, but it is all very worth it. You get to enjoy being outside all day and feeling special when you find a sea turtle nest and cage it. As Billy Shaw says ” The resources and how we help will outlive us all.” I am still in deep appreciation and honored that I was given this internship and it will forever positively impact my future! I was surprised by the fact that there are no cars or stores. It feels so peaceful and like a jungle safari sometimes with all of the cool birds and alligators walking down the road. On Cape, I ride on an ATV with all of our cages and equipment and decide whether we need to relocate or keep them there. Its a blast and I always feel like I had a long and successful day by the end as I go home covered in sand and ready for a nap. Allie stayed on for part of the fall, helping with the Cape Romain turtle program. She also updated one of the exhibits in the nature center~ check it out. Our conservancy interns often go on to environmental jobs here in the state. 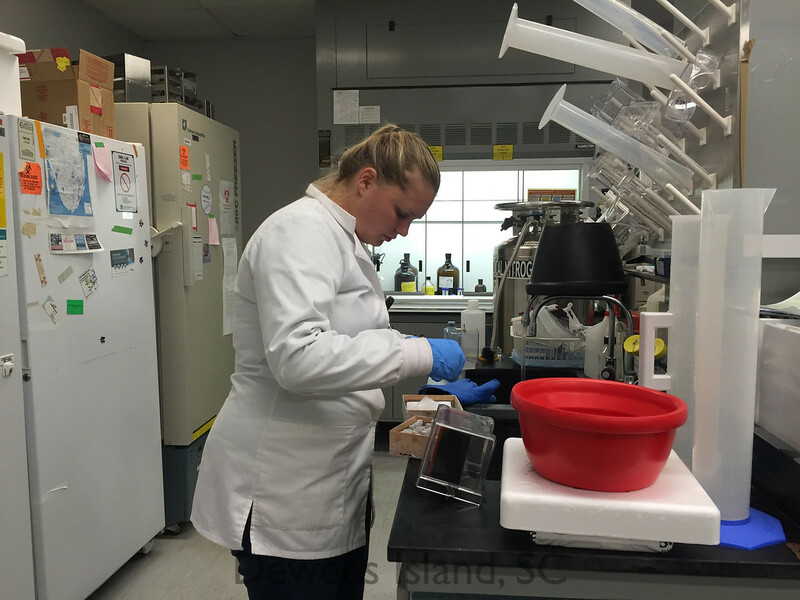 We have former interns who work at DNR, and the SC Aquarium, and MUSC doing research. In fact, if you’re a former intern, feel free to comment on this page! We’ll be taking applications for next year in January, if you are an interested candidate, send an email to Lori to get application information. Hospitality Interns are employed by Dewees Rentals in partnership with the Dewees Island POA. Responsibilities include registering renters for the ferry, helping renters get settled in to the island and teaching them about rules and culture of the island. Interns typically organize activities like crabbing and creek floats. They move golf carts between rentals, fix flat tires, check homes between check-outs and check-ins, They also provide friendly reminders about golf cart driving rules, fishing rules, etc. My favorite thing about this job is the community. I love going to happy hour every Friday and getting to know the locals on the island. It is so awesome that we are able to participate in community activities and hearing stories about the families that live here, and the history of the island. It also gives off a sense of home. Everyone is so friendly and welcoming, on and off the island. Even though they primarily work with renters, the hospitality interns enjoy participating in environmental activities. Our hospitality interns go on to a variety of jobs and grad schools: One is in Law school, one is teaching drama to high schoolers, one is working in a hotel chain in Dallas, etc. If you are interested in an internship in hospitality, email Emily Watson at Dewees rentals. The interns typically start in May, and in 2016, for the first time, we did a joint training program for both Conservancy and Hospitality Interns. Brucie and Low Harry, Dewees Residents, provided us all with an incredible lunch break, which allowed the participants to focus on training instead of food logistics. We are so delighted to host Kristen Oliver, who began in September 2016 as part of a joint program with South Carolina Audubon. 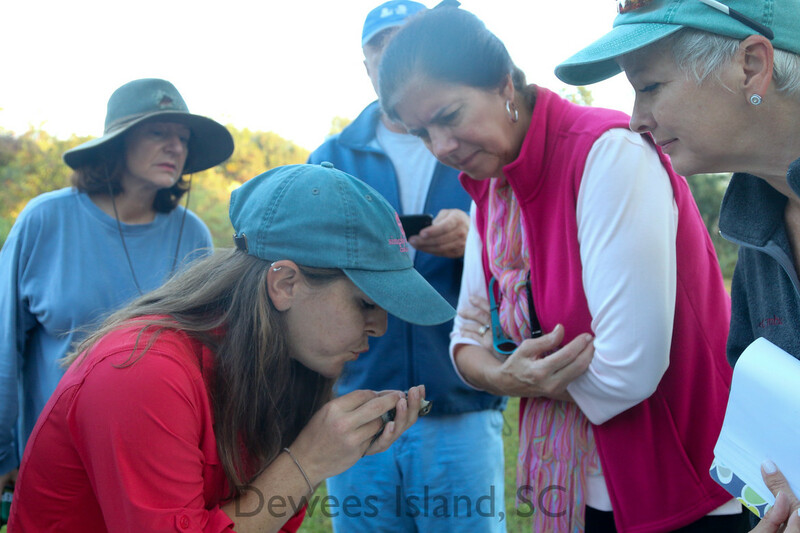 Kristen stayed on Dewees and led bird banding programs and bird counts while working at the Sullivans Island banding station. 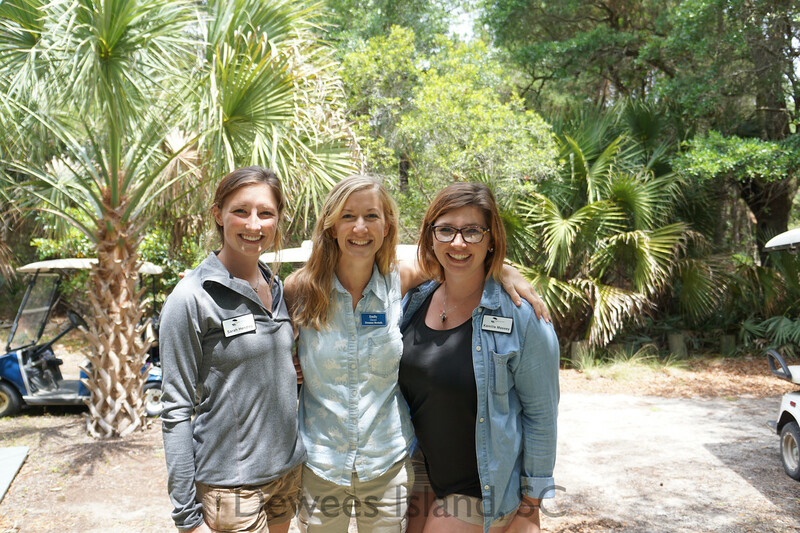 Kristen now splits her time between Dewees Island and working at the Wild Bird Center in Mount Pleasant. She is helping us with bird and invertebrate surveys and has set up a great geocache course for the holidays. She is also conducting owl research on the island. In February, Kristen will leave us to work in Borneo doing bird banding.